Tequila is meant to be shared with friends. This is especially true when it comes to exciting, new-to-market products. So, when we realized we were sitting on three exceptional newcomers, we decided to visit every tequila lover’s friend, Emilio, the owner of the El Buho Tequila Store in Tlaquepaque. Luckily for us, his store is just 3 blocks from our house, so sharing with him is easy. Watch the video (above) as we taste our way through them. Or, read our tasting notes (below), and then let us know what you think in the comments. Has a fun lactic/cheesy thing going on in addition to agave, mushroom, earth and cinnamon aromas. Aroma also shifts and changes in the glass over time as it opens up. Flavor is naturally sweet cooked agave and some minerals. Finish is short and clean, the minerals are pronounced as the agave sweetness fades. Quite enjoyable and easy to drink. The lactic/cheese aroma is there because the cooked agave spent a good amount of time exposed to air before they the were added to the fermentation tank. I love this because it’s a sign of a truly natural process, and one that can only be achieved through a slow, artisanal process. Anyone who thinks that all tequila is the same needs to try this one. I’m also thrilled to see that they installed a tahona and continue to embrace old school production methods at the Cascahuín distillery. Bravo #cascahuinando! Cooked agave and slightly lactic aroma (which I like! ), with a hint of green pepper. Tasty and naturally sweet in the mouth, with a pleasant green pepper finish. Not overly complicated, but balanced and enjoyable at 42% abv. I can’t wait to try the second batch because I bet it will be even better. Hopefully, it doesn’t lose its unique lactic character. An exciting new tahona product! This tequila is so new that we don’t have any pricing or store location information outside of Mexico. When we get that info, we’ll add it to this story. Because this is high proof (50% abv) I used a glass specifically designed for higher-proof spirits (the Stölzle “Jarrito” Tasting Glass.) As such, alcohol fumes didn’t get in the way of my tasting experience. There’s definitely a lot going on here in the aroma. Just like any good, natural spirit, don’t rush this one. It will continue to open up in the glass and surprise you. At first, I detected white chocolate in the aroma. Then came the cinnamon, barrel spice, and fruit. A little while longer I detected some jalapeño and citrus. The flavor follows the aroma, but this is where the oak and barrel spice become much more obvious. Has a thick and oily texture in the mouth, and the finish lasts for a long time. Thumbs up on this one. You can only get it at the La Cata tasting room in downtown Tequila, though. And it’s a single barrel, so it won’t last long. I recommend picking one up soon! Complex aromas of butterscotch, comote, dried fruit (apricot), and a touch of baking spices. Natural sweetness in the mouth, balanced by a dry finish and medium mouthfeel. Layered and interesting. Although it’s 50% abv, it doesn’t feel “hot”, but it is pungent. A special occasion sipper for sure. You can buy it for $140. at the La Cata Tequila Tasting Room in Tequila, Jalisco. Whoa! Aroma on this is amazing. Astonishingly, after 14 years in a barrel, there is still cooked agave here. Bravo! Also in the aroma: dried fruit, vanilla, caramel, licorice and butterscotch. The agave, caramel, and dried fruit continue in the flavor. The finish is where the 50% abv makes itself known. Long and rewarding. This might be too high in alcohol for some, but just fine for me. After 14 years in a barrel, I’m shocked that there’s still agave left. Another masterpiece from Don Adolfo and his carefully cultivated crop of organic agaves! What a treat! It’s hard to believe that the aroma of sweet, cooked, mature agave is the first to hit my nose after 14 years of aging. 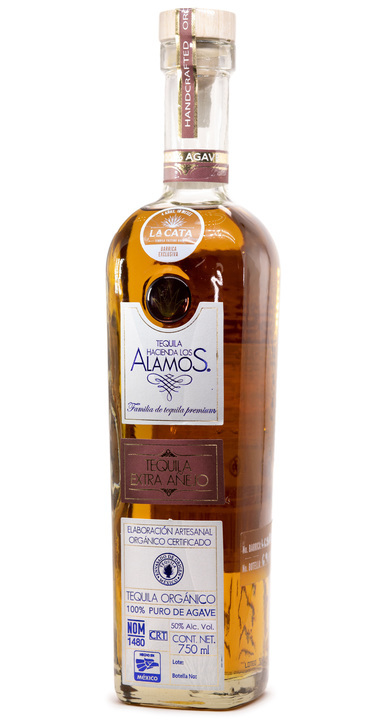 The high proof (50% abv) helps bring the agave forward. In addition, there are aromas of vanilla, dried fruit (cherry), and cinnamon. Sweet agave and dry flavor with a pleasant finish tinged with hints of spices, like nutmeg. 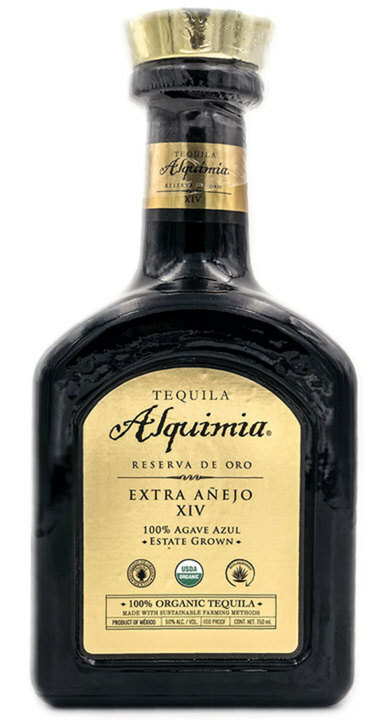 A very complex tequila that comes together elegantly, no doubt due in part to the quality of agaves used. You can buy it online for $235. from Old Town Tequila. What’s your take on these products? Please share it here, or rate it in the Tequila Matchmaker app. Fun video, and solid reviews from the Sanschagrins! I was just in this store in December and I’ve been telling everyone about it that will listen. Crazy I came across this video. They were so much help and I left with 7 bottles I believe. They recommended Insolente añejo and I had never heard of it and I wish I would’ve purchased more of it. It was the best tequila I’ve had and I can’t wait to go back. fun and informative with Grover and Emilio, who seems like the nicest guy. 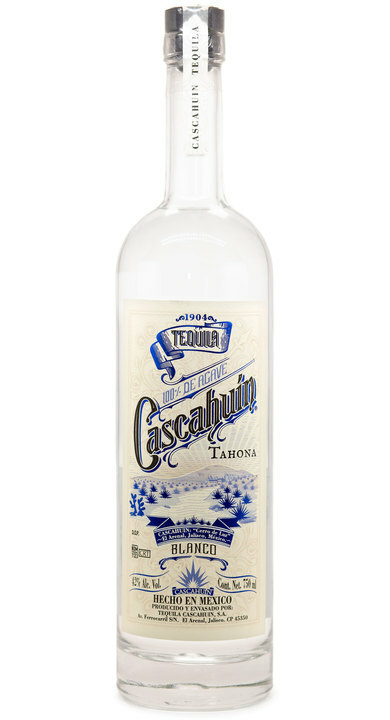 Great to see tahona on the rise, and it’s great to see the opinions of others as they taste great tequilas. Nice!! El buho is great! Just bought 2 boxes of their house reposado. Damn…you’re making me add Guadalajara to my travel plans!…great video! Same here! We are drinking it like water.